Many people snore due to a blocked nose. There are several options when it comes to opening your nasal passageways to stop your snoring. One popular option is to use a nasal dilator. Nasal dilators work by mechanically opening your nasal passages, decreasing the resistance to incoming air without resorting to medication. There are two main types of nasal dilators: external and internal. External dilators pull from the outside, whereas internal devices push from the inside. It’s all too easy to get a blocked nose and snore as a result. Allergies and colds can come on suddenly, ruining your breathing and sleep. Long-term, chronic problems can arise from pollution, medication, hormones and even your nose-structure. Having a blocked nose can force you to breathe through your mouth, massively increasing your chances of snoring as your jaw and tongue compress the airway. If you breathe through a partially blocked nose, this can also cause snoring due to the increased pressure and suction forces created . External nasal dilators are also known as nasal strips. You may recognize them from professional sport as they are popular with athletes looking to improve their breathing efficiency. There is limited evidence to suggest that they help athletes perform better. 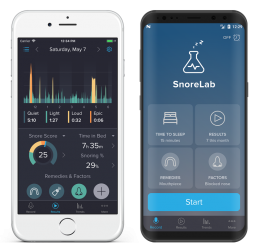 However, there is a wealth of scientific study related to snoring, and the verdict is that external nasal dilators can really reduce your snoring if you have a blocked nose. 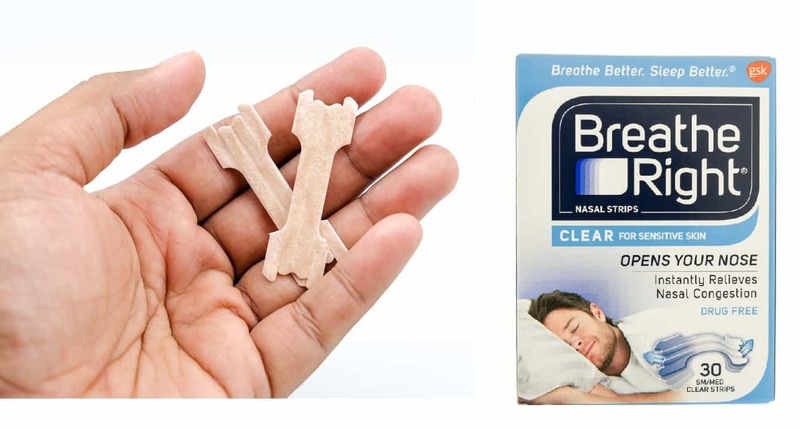 At SnoreLab, we like the Breathe Right nasal strips. These simple devices open up your nasal passageways by sticking to the external surface of your nose (unlike internal nasal dilators which are inserted into the nostrils). Nasal strips look and behave like a plaster. They have a gentle adhesive that sticks to the outside of your nose just above the nostrils. The parallel bands of rigid plastic use a springboard action to open up your nasal passageways; when bent across your nose they try to straighten. This “recoil” or “springboard” force gently pulls your nasal passageways open. By positioning them just below the bone of your nose, the strips act on the narrowest part of your nose, the nasal valve. This bottleneck is most prone to blockage and sits one centimeter behind the nostril opening where nasal strips should be placed. In addition to the extensive (and often null) research into athletic performance, there have been multiple studies that assess nasal strips and their impact on people’s nightly vocal performances. Plenty of studies have produced positive results, with most subjects showing significant reductions in the amount of snoring when wearing nasal strips. Importantly, these studies are robust and reliable, using placebo strips without rigid bands as a means of comparison . Chronic nasal congestion arises for a variety of reasons and nasal strips have proven useful regardless of the cause . Because nasal strips are non-medicated, they are suitable for everyone whose snoring is caused by a blocked nose. Studies have shown nasal strips have benefits for a variety of people with chronic or acute nasal blockage, including pregnant women  and even those with a deviated septum . Just like all snoring remedies, external nasal dilators have good and not-so-good points. Nasal cones, clips, prongs and stents are all simply internal nasal dilators. They come in a variety of shapes, sizes and materials, and can dramatically reduce snoring associated with a blocked nose. We recommend the ZQuiet Breathe Intra-Nasal Breathing Aids with their tried and tested design to increase airflow, and flexible wings to give an optimal fit. Internal nasal dilators reduce airflow resistance by propping open your nostrils. The springy material forces outwards when compressed to fit inside your nostrils, expanding the alar cartilage on your nose which is very prone to collapse . 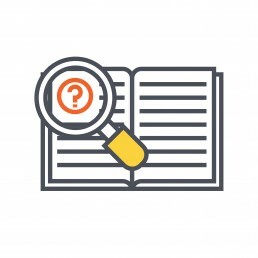 There is only a handful of studies that look at the benefits of using internal nasal dilators . Max-Air Nose Cones, Airmax nasal dilators and NoZovent clips have been shown to increase nasal airflow, with both NoZovent and Max-Air performing better than external nasal strips . Because these devices go inside your nose, extra consideration needs to be given to the type you choose, so as to avoid negative reactions or discomfort. Look for types that use medical-grade silicone as they are anti-bacterial and easy to clean. Whilst there are only three types backed up by hard science, they all function in a very similar way. The ones without scientific backing are still likely to be very effective, so your choice should be based on cost, material and comfort. Size – are there different sizes available to get the best fit? Storage – do the dilators come with a case to keep them clean when not being used? Shape – internal nasal dilators can be smooth, ribbed, winged or vented, the comfort of each being highly subjective. Some packs include a variety to help you try them all and decide for yourself. Material – medical-grade silicone is ideal. Lifespan – the great advantage of internal over external dilators is that they are reusable, make sure this isn’t a false economy by getting ones that last a reasonable length of time. Three months is a good benchmark. Although they do the same thing, internal and external nasal dilators have different advantages and disadvantages.